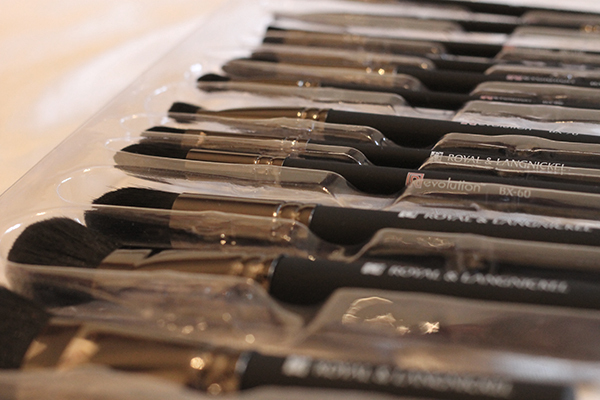 This week we've been lucky enough to try out a new range of revolutionary makeup brushes by Royal & Langnickel. The Revolution* range was developed in collaboration with Emmy Award-Winning makeup artist Kevin James Bennett to create a 32 piece collection of the highest quality brushes suitable for beauty lovers and makeup artists. 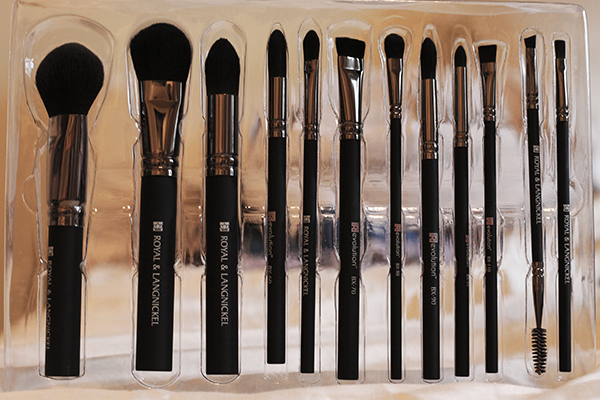 Each brush has been carefully designed utilizing Royal & Langnickel’s 70 years experience in brush making to meet the needs of the user in terms of durability and performance. I’ve been looking at so many different brushes to buy so this came at the perfect time. Up until now apart from my Real Techniques brushes, I had been using low quality brushes which would literally scratch my face when I used them. I noticed I broke out more on the areas where my brushes were used so I was in definite need of a change! I do now think that it’s great to have high quality products and everything but if you don’t invest in a good quality brush set then your products won’t really achieve their potential. I’ve noticed a big difference after using this set. 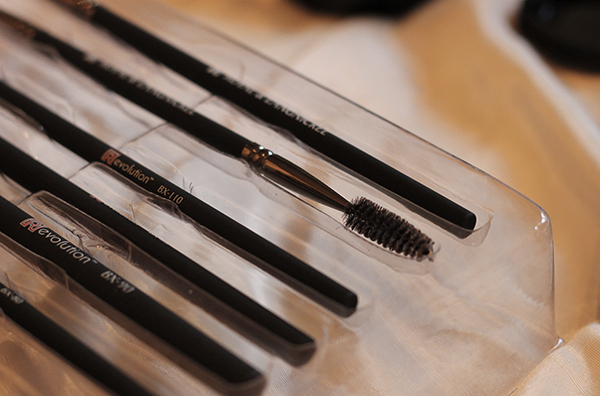 You might be wondering, what makes these brushes different or better than others? Each brush is made from DuPont™ Natrafil® fibers which basically means that it mimics the feel and performance of fine natural hair. This means each brush picks up and applies powder products amazingly well for extremely easy application. The difference between synthetic brushes and natural brushes are that while natural hair brushes do perform well with powder products, they have a tenancy to shed or break after many uses. Synthetic brushes typically last much longer, dry faster and fester much less bacteria due to the Natrafil® fibers. As for the handles, they are made with high impact acrylic with a rubberized finish which makes them very easy to handle. Brush handles come into contact with moisture from cleaning and daily use so by using this type of brush handle this means they last much longer. If wooden brush handles were used, over time they would absorb the moisture and cause the brush head to shed or detach completely. As you can see above, this proves how amazing these brushes are at picking up powder products. You might also find it interesting that the brush was only slightly dipped into the powder once in this photo! I found that I also needed much less product than I had previously been using as I didn’t have to swirl the brush around so many times. Out of the set I’d have to say my top three brushes would be the SM Powder (BX-10), Pointed Foundation (BX-55) and the Brow/Spoolie Dual (BX-135). I think for me they’re the most important brushes of the set. 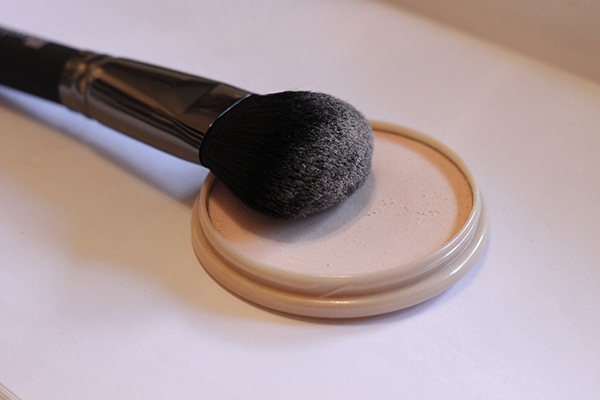 The Pointed Foundation brush is similar to the Real Techniques Buffing brush but much more precise and easy to get into the creases of your face. Face powder is one of the most important steps in my makeup routine so a good powder brush is essential and this does what I want and more. Before I met Lisa I didn’t give any thought to filling in or taking care of my eyebrows, she is the eyebrow expert! Now I don’t feel my makeup is quite complete without filling them in and this little brush helps tame them and make them look natural.